Dr. Page is now President of MiSEPS – Oakland Ophthalmic Surgery, P.C. Dr. Page is a partner with Oakland Ophthalmic Surgery PC in Birmingham, Michigan, where he remains committed to the practice’s founding principles of providing compassionate, quality care; pioneering new surgical techniques and treatment protocols; and embracing new technologies. His primary specialty is refractive cataract surgery with a special interest in complex presentations. A 1994 graduate of Wayne State University School of Medicine in Detroit, Dr. 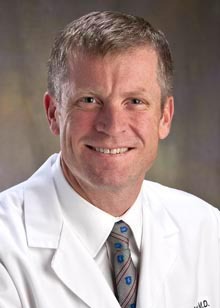 Page completed his residency in Ophthalmology at William Beaumont Hospital in Royal Oak, Michigan, where he currently serves as co-chief of Anterior Segment Surgery and as Professor of Ophthalmology with Oakland University William Beaumont School of Medicine. Dr. Page teaches surgery and microsurgical courses to residents at Beaumont Hospital and has taught residents across the nation as annual guest lecturer and laboratory instructor for cataract surgery at Harvard University’s Intensive Cataract Surgical Course at the Massachusetts Eye and Ear Infirmary in Boston, the Surgical Mentor Resident Program in Tampa, Florida and the Surgical Mentor Resident Program in Aliso Viejo, California. He also teaches the annual review of the Basic and Clinical Science Course for Lens and Cataract at the University of Michigan Kellogg Eye Center OKAP review for all the Michigan residency programs. Further, Dr. Page has led research studies, is a published author, and a frequent speaker at ophthalmic conferences throughout North America. 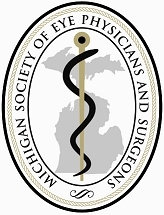 On a number of occasions he has lectured at the Michigan Society of Eye Physicians and Surgeons annual conferences where he has taught cataract surgery techniques with advanced technology. His involvement with the MiSEPS Board of Governors includes Regional Directorship from 2008 – 2012 and Executive Committee serving as Secretary, Treasurer, President Elect, and now President. Ancillary rolls have included PAC Chair, Membership Recruitment and author for the MiSEPS Eye on Michigan magazine. He also had the distinct honor of delivering the inaugural Phillip C. Hessburg, MD lecture to the Department of Ophthalmology at Henry Ford Hospital in Detroit. 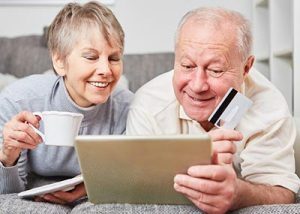 Dr. Page’s most recent interest involves refractive cataract surgery, specifically with the use of in-office wavefront aberrometry combined with intra-operative wavefront aberrometry to achieve consistently high levels of accuracy in cataract surgery. In addition, he holds an interest in anterior segment eye disorders, particularly complex congenital, acquired and traumatic zonular disorders affecting patients during cataract surgery. In this area of expertise he holds a provisional patent for a lens support system that is presently under international application. Among Dr. Page’s awards and honors, he has been named in America’s Best Doctors, US News & World Report, Ambassador and Hour Magazine Top Doctors, recipient of the Raymond R. Margherio Teaching Award, Outstanding Physician and Humanitarian Award at William Beaumont Hospital, Outstanding Service Award by the Michigan Society of Eye Physicians and Surgeons, and received an honor from the Detroit Jewish Community Relations Council on behalf of the Michigan Darfur Coalition which Dr. Page co-founded. Dr. Page frequently serves as a team leader for a contingent of doctors from metro Detroit on missions for the Kenya Relief Program to treat all eye diseases and infections, as well as perform hundreds of cataract surgeries for the blind, restoring their sight at little or no cost to the patients. He also served as Board Chairman of the South Sudan Health Care Organization where he helped to fund, and continues to serve in a clinic of one of the world’s poorest and most remote countries. For his global ophthalmology initiatives, Dr. Page was appointed to the American Academy of Ophthalmology Global Outreach Committee. He has also been appointed to the Department for Committee on Appointment, Promotion and Tenure, Oakland University William Beaumont School of Medicine — Committee of Faculty Awards and the Humanitarian Care Committee. Dr. Page is a resident of Birmingham, Michigan with his wife Jill (a medical doctor of gynecology), and their four children Dylan, Riley, Timothy II, and Allison. Dr. Page is an endurance athlete, enjoys skiing and fly-fishing and is an active member with Holy Name Roman Catholic Parish.